We don't create arrangements, we create smiles. 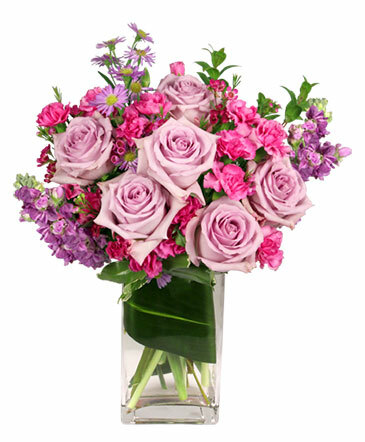 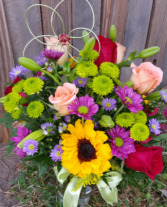 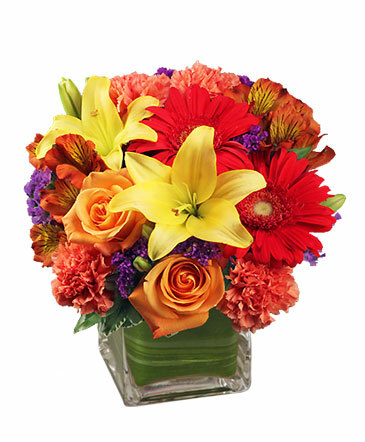 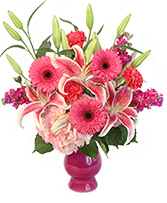 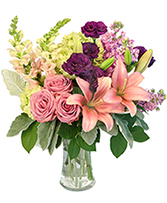 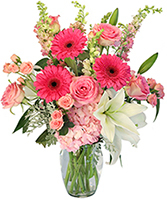 Call Awesome Blossoms Florist and send flowers with feelings that come straight from the heart. Make someone's day more memorable with this charming basket of pink lilies, roses, alstroemeria, carnations and freesia. 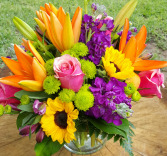 Beautiful mixed summer flowers sunflowers, stock, roses, lilies, alstromeria, button mums arranged in a cylinder vase. 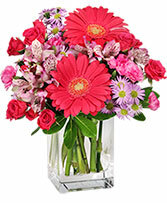 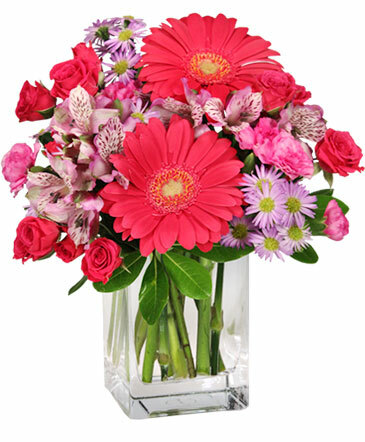 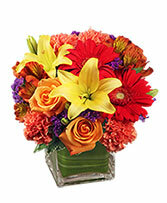 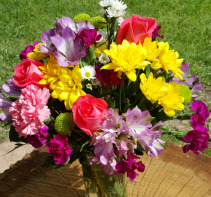 A Bright arrangement of daisy's, carnations, alstromeria, pixie carnations and roses will brighten your day.